I first read this when our youngest daughter had written it on her cap for her graduation as a Marine Biologist. Since she is a diver and I would have a family member to dive with I received my OW certification in October 2016 and completed my AOW training in April 2017 and now, just as she was caught in the net of wonder so am I.
I travel internationally for work and try to dive when the opportunity arises and recently I stayed at a Marriott hotel that, unbeknownst to me when I made the reservation, has a house reef 300 feet or so off the beach. (I had planned to dive later in the week at another location). Marriott has partnered with the International Union for the Conservation of Nature to take steps to ensure the longevity of the reef. They have plans to build an aquarium starting this fall to raise coral and reef fish to move to the house reef. I contacted the resident marine biologist about ICUN's work and more as a joke said if she needed help in the water that I would be willing to help. I received a reply saying that she had arranged a dive with herself and the house dive instructor to remove debris from the reef and to replant any broken coral we find. I didn't know you could wedge a piece of coral back into the coral head and it would reattach itself at some point. Later in the week the resident microbiologist sent me an email about a Netflix documentary called Chasing Coral. It is an excellent show about how global warming is affecting the corals, especially the recent bleaching of the Great Barrier Reef. 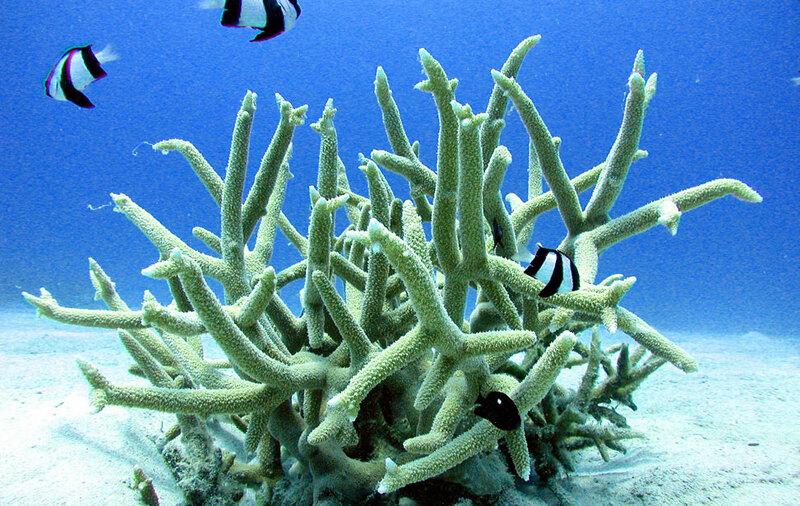 You can learn more about the project at http://www.chasingcoral.com. Closer to home, National Geographic has a list of ways each of us can reduce our carbon footprint. Learn more how you can takes steps to combat global warming by going to http://channel.nationalgeographic.com/before-the-flood/articles/14-easy-ways-to-reduce-your-own-carbon-footprint/ . Thank you Columbia Scuba for opening up a whole new world under the sea to me! Look for ways you can help the life of the sea and marine animals such as reducing your use of single-use plastics, reducing your carbon footprint and supporting Project Aware.